The Tollywood beautiful actress Samantha Akkineni is overjoyed with the mind-boggling response for her exclusive Rangathalam Latest teaser featuring actress Samantha as Rama Lakshmi and clocked over 5 million digital views on Mythri Movie Makers youtube channel. However, 5 million views for a heroine teaser is undoubtedly a terrific feat According to latest sources the Rangathalam teaser also stands 10th in the list of fastest Tollywood teaser to clock 1 million views on social media. Sharing her happiness Samantha Akkineni Thanks Ram Charan. 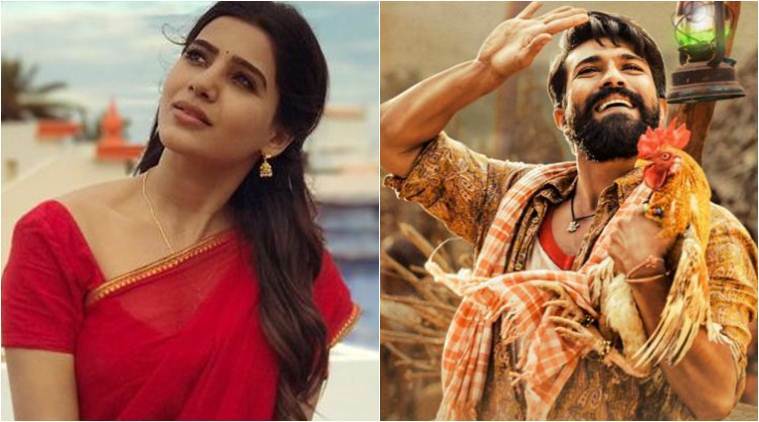 Samantha’s rustic village belle avatar has become a huge hit and fans can’t wait to see her love story with Chitti Babu. Rangasthalam first single Song will be out at 5 pm on February 13. Devi Sri Prasad composed tunes. Aadhi, Jagapathi Babu and Anasuya have sported other crucial roles. The movie was produced by Mythri Movie Makers and hits the screens on March 30. The post Samantha Akkineni Thanks Ram Charan for Rangathalam Special Teaser appeared first on SouthColors.